It’s that time of the year again when you make your loved one feel special. 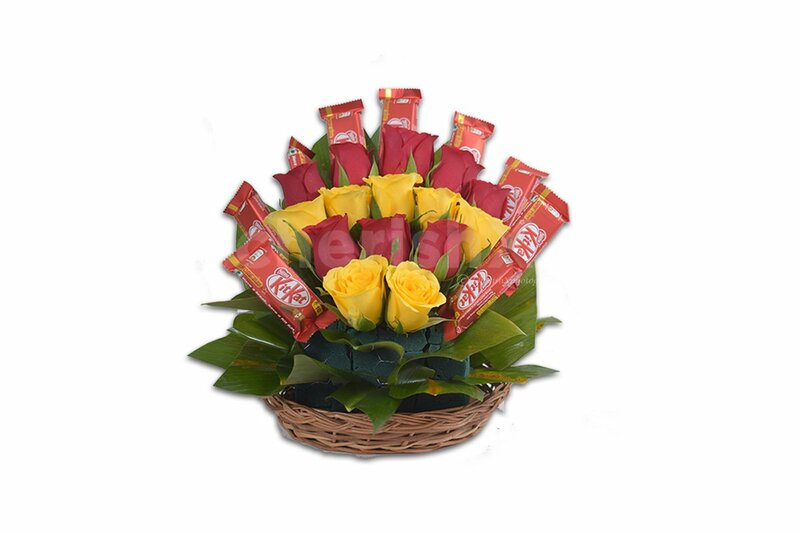 And what better way to do that than chocolates and flowers. 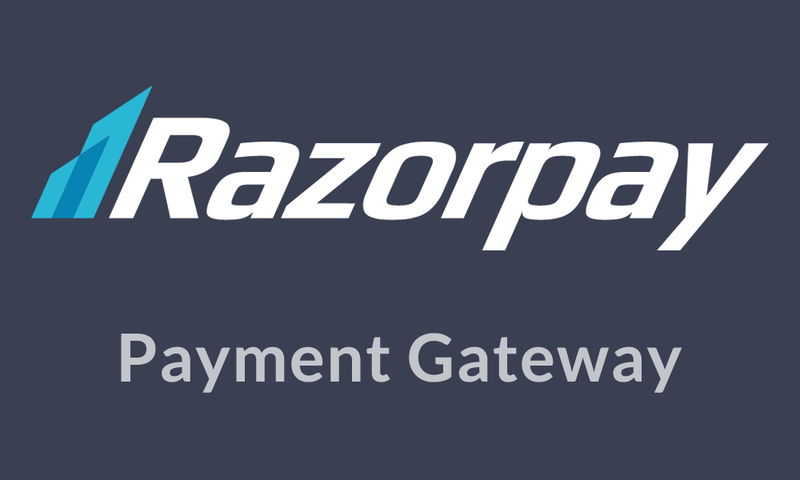 What if we told you you can club the two together and have the best of both worlds? Because with CherishX you can! 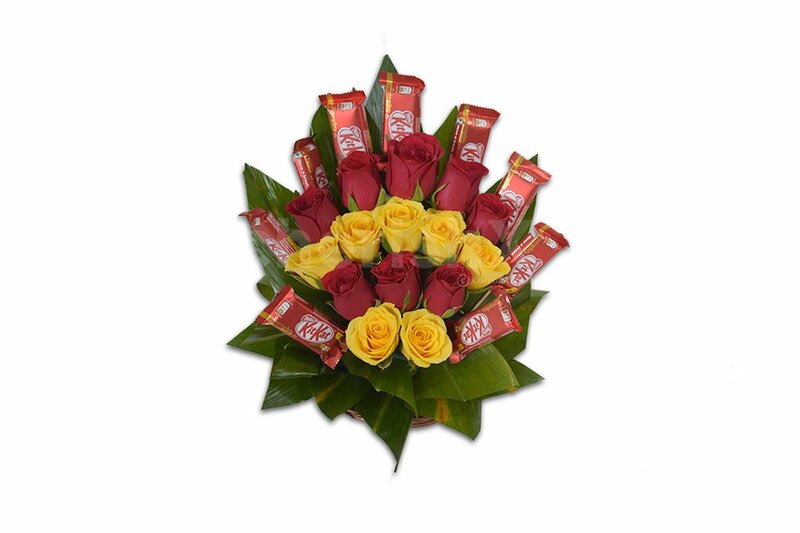 We bring to you an exclusive and beautiful bouquet of fresh and dewy red and yellow roses with 8 delicious kitkat chocolates decorated around it! The arrangement is set in a cute basket with decorative leaves in and around it. You can have it delivered to your bae’s doorstep. Or why just your bae, you could gift this to your mom, your friend, your brother, your sister, your best friend or whoever you want to give joy to! 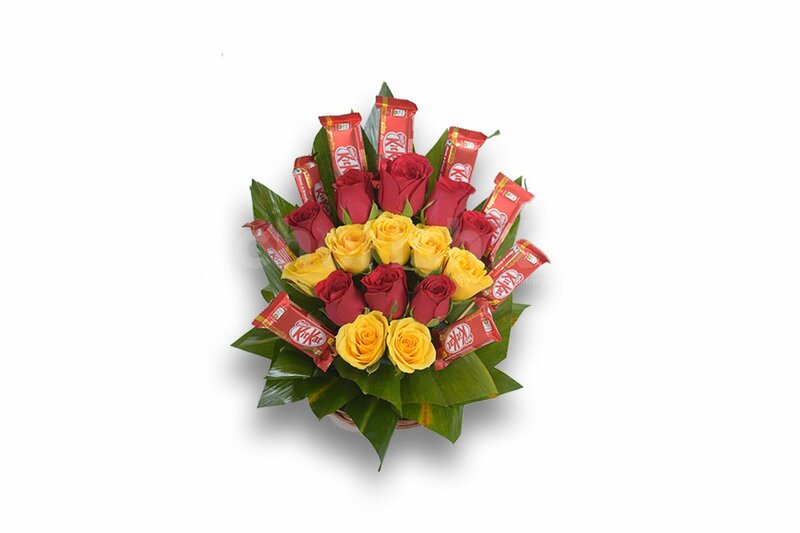 Make your Valentine’s day a little more sweeter by sending this lovely surprise to your partner or anyone who you love. This one is guaranteed to spread a huge smile on their face! Delivery to a location of your choice. On the next screen, you can find other add-ons such as cake.